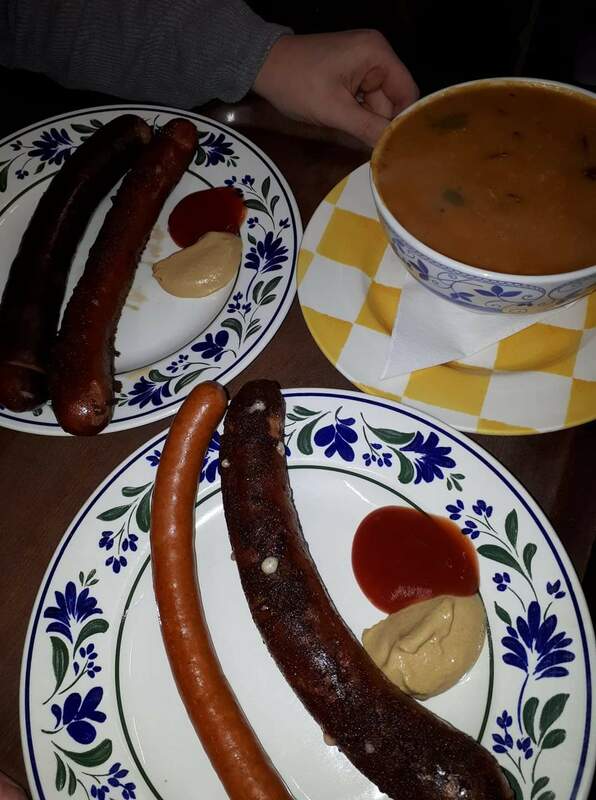 Gulasch soup, Austrian Sausage and Bean Soup all served in large bowls with bread and butter. 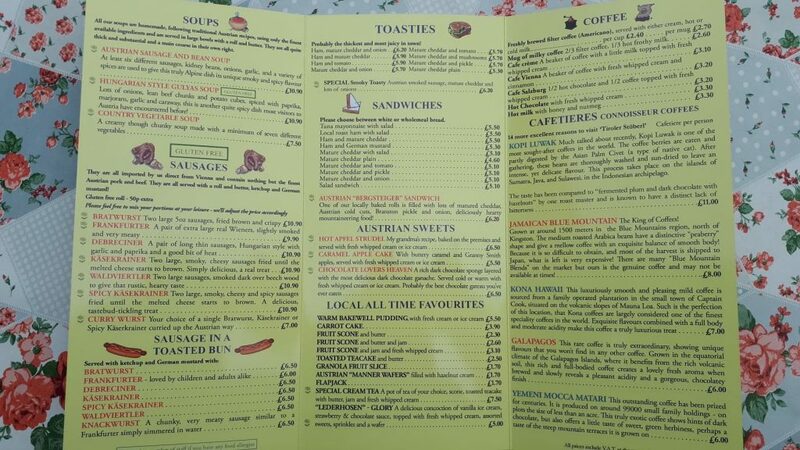 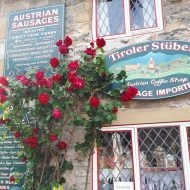 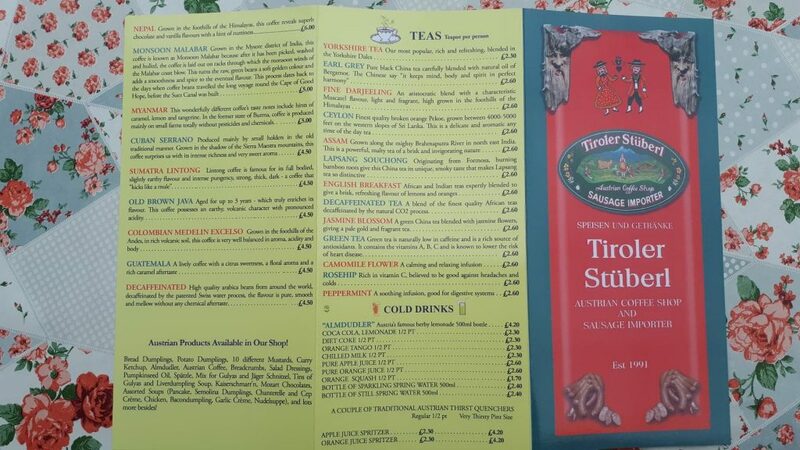 We also serve our whole array of Genuine Austrian Sausages, freshly cooked to order in any combination you wish to choose. 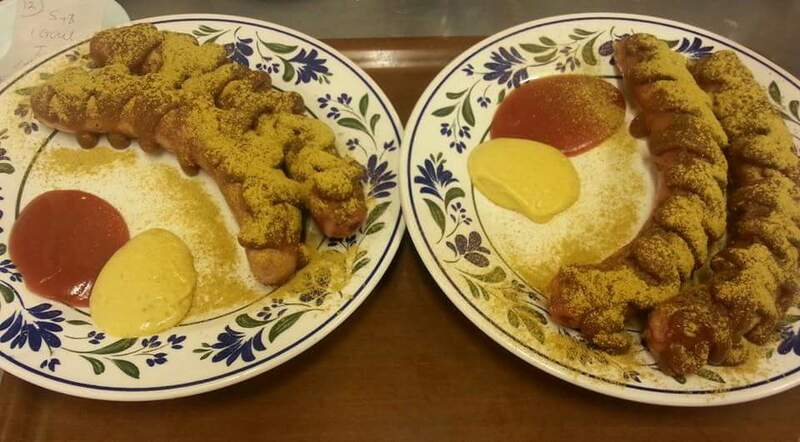 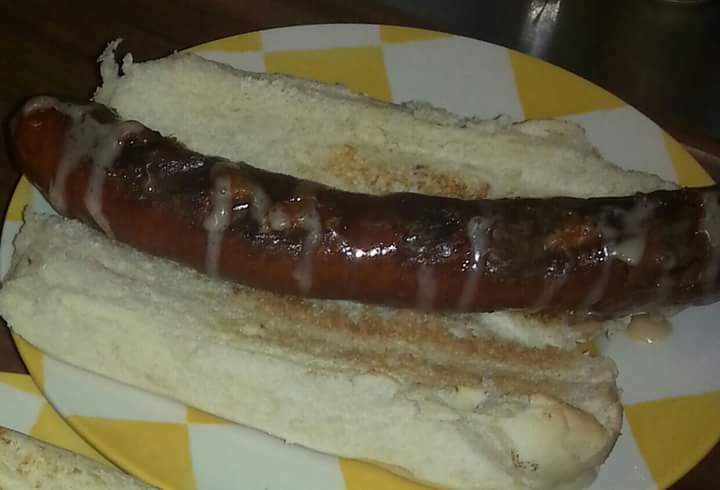 They come the traditional way with Austrian Mustard and / or Ketchup and a Roll (gluten free rolls available upon request). 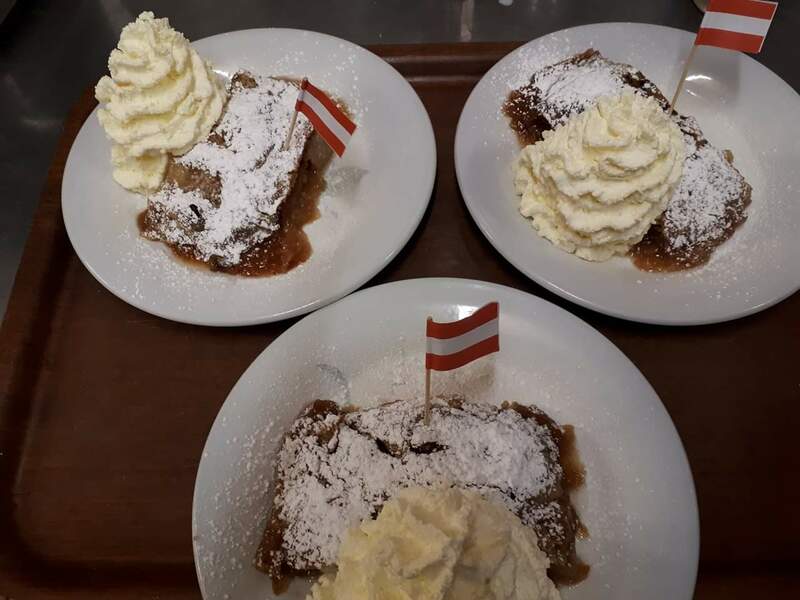 Home baked Apfelstrudel, Chocolate lovers heaven and much more besides.